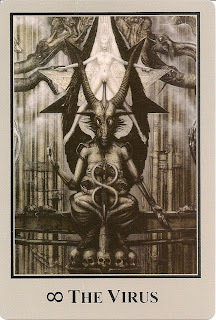 The Baphomet Tarot is a collaboration between the Swiss artist H.R. 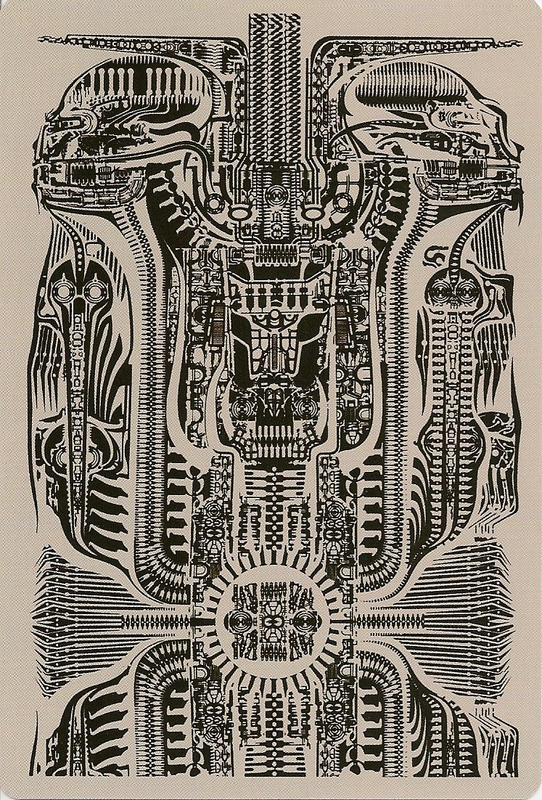 Giger and the occultist Akron (C.F. Frey). Giger painted the images between 1973 and 1992 (not as tarot cards) and Akron chooses from Giger's paintings those, which fits for the tarot cards. Akron also wrote the book that came with the cards. The first edition was 1993 by AGM, since 1999 the deck was published by Akron Edition and there was an edition published by Taschen America in 2000. Mine was from Akron Edition in 2010. The first edition had 22 cards the later editions have an extra card "The Virus". Backs are not reversible.